Jeff Adams is founder and principal of TerraSophia LLC, an ecological design consulting and education firm and licensed Landscaping and Excavation/Grading Contractor based in Moab, UT. Jeff builds capacity to regenerate the health of our watersheds and communities by engaging citizens, agencies, and organizations through hands-on education and ecological design services. 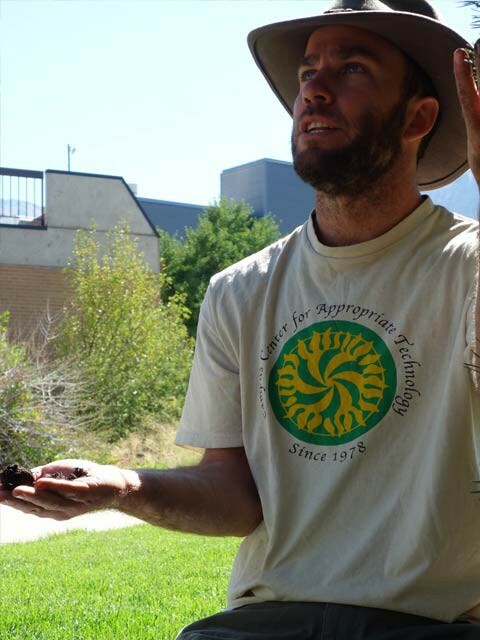 He has a depth of experience in permaculture, watershed rehabilitation, and educational programs and brings a practical and integrated approach to each project with nearly 20 years of experience in the field. Jeff is the Executive Director of the Canyonlands Watershed Council and serves as Board President and is a Co-Founder of the Resiliency Hub. Jeff has collaborated with a variety of non-profits, public agencies, schools, businesses, and individuals to raise awareness and build skills for regenerative living. He has traveled extensively around the United States and beyond, visiting and participating in projects and learning with many leaders in the fields of water harvesting, permaculture, and regenerative systems. Jeff holds a self-designed Bachelor of Science degree at Humboldt State University in Indigenous Technology, which he coined as the practical application of knowledge of a place to help meet the needs of that place, including all its inhabitants.